Is a salt system right for my pool? Recently, more and more homeowners have chosen to benefit from salt water swimming pools. In other words, they have adopted salt chlorine generators, or a salt system, to their otherwise normal swimming pools. We wanted to take some time to explain how a salt chlorine generator works and list some advantages and disadvantages it can bring to your swimming pool. Simply put, a salt chlorine generator (also known as a salt system or a salt chlorinator) is a swimming pool chlorination system that creates chlorine from sodium chloride (salt). Before a salt chlorine generator can operate, the swimming pool water must have a salt concentration of 3,000 ppm (parts per million). As salt water travels through the swimming pool’s circulation system, it enters the salt chlorine generator and passes through a salt cell. As the salt water flows through the cell, a low-voltage direct current is applied to flat, rectangular plates inside the cell, initiating electrolysis. Through electrolysis, salt and water break up into hydrogen gas and hypochlorous acid. The hydrogen gas simply leaves the swimming pool water in the form of small bubbles. The hypochlorous acid sanitizes the swimming pool water and ultimately reverts back into salt, and the process repeats. Salt chlorine generators offer homeowners a wide array of benefits. Our customers love salt chlorine generators because they eliminate the need for most swimming pool chemical maintenance (which translates to lower maintenance costs). For example, at the site of electrolysis (the salt cell), chlorine is so concentrated that the swimming pool water is superchlorinated, preventing the buildup of chloramines and algae. As another example, sanitizers such as tri-chlor have very low pH levels (some as low as 2.8), which can significantly lower the pH of a swimming pool. Homeowners who use sanitizers with very low pH levels must use liberal amounts of sodium carbonate to offset the drop in pH. Salt chlorine generators, on the other hand, require few, if any, additional chemicals, as they produce nearly neutral pH levels. Other advantages of salt chlorine generators include: reduced skin and eye irritation, no harsh chemical odors, and swimmer safety. There are few disadvantages associated with salt chlorine generators. 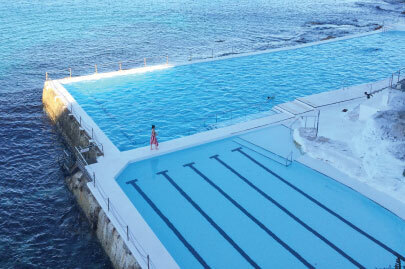 Perhaps the most prominent is their negative effects on swimming pool equipment. Salt is corrosive but if maintained within the normal operating range, is benign. However, if allowed to increase in excess of 6,000 ppm, high salt concentrations can contribute to the breakdown of handrails, lighting systems, and swimming pool liners. Care must be taken if splash out pool water is continually pooling and evaporating, as the resulting salt concentration will increase in that area, and unless it is rinsed off, or diluted by rainfall, has to potential to create salt damage. The Pool Butler staff are trained professionals that have extensive knowledge to install, repair, and maintain your Salt System. For more information on salt chlorine generators, or the services that The Pool Butler provides, contact us.